Colony BMX and Strictly BMX are giving away a custom Sweet Tooth build! Here’s a giveaway geared toward the Australian riders out there, but could be a worldwide deal if you want to make a purchase, too! Now through June 28th, every purchase at Strictly BMX for $100 AUD or more, you are entered to win this custom Colony Sweet Tooth build! This video shows you a detailed look at the bike being built up! So, if you’re due to order some new parts anyway, you might as well hit up Strictly BMX to see what they have to offer. It could land you a new bike. “We’ve teamed up with Strictly BMX to give you guys the chance to win this custom Colony Sweet Tooth bike in a one off colourway. Take a look at the 2018 Premise complete from Colony BMX getting built up! Thinking about picking up a new BMX bike? Here’s a quick video Colony BMX just dropped giving you a look at one of their 2018 Premise completes being built up from start to finish. Take a detailed look at the bike! “Unboxing & build of a 2018 Colony Premise complete bike in the Matte Dark Purple colourway. Available now across the globe. “BSD is one of the top brands out there right now. We always make sure we are stocked with all the lastest parts from our Scottish brethren. This rad new stainless finish in Kriss Kyles signature Passenger looks amazing as well as being pretty rare. Matched up with BSD, Colony & Odyssey parts it looks killer & is definitely ready to get the job done! Check out more photos and get full specs and details on this bike on the Strictly BMX website. This is a one off bike, so if you’re digging it, make sure you get your order in as soon as possible, because we’re sure this bike will go fast. Strictly BMX are back at it with another custom complete build! This time around they decided to go with a Colony Sweet Tooth build decked out top to bottom in Colony parts! Above you can check out a video giving you a look at the bike, then you can see a few photos and a full parts list below. There’s only one of these bikes, so if you’re digging it… You’re going to want to hit up Strictly BMX as soon as possible! “Full Colony build… minty fresh Sweet Tooth, all aftermarket goodness, rainbow slickness… doesn’t get any more dialled! Check out more photos and details on the bike on the Strictly BMX Website. The crew at Strictly BMX down in Australia have done it again! Here’s their latest custom build complete bike they are selling using the Dirty Deeds frame from The Set decked out with parts from The Set, BSD, Cult and Eclat! Hit play to take a closer look at this dialed unit, then get the full parts list and more below! “Kym Grosser has been part of the Strictly fam for many years & his Set signature frame is as dialled as they come, especially in this fadeout colourway. We built this custom up with Kyms KG/BC signature bars, Stealth cranks & a bunch of rad stuff from BSD & Eclat including the super rare Alex Kennedy edition neon yellow Raven rims. Learn more about the bike on the Strictly BMX website. Our friends over at Strictly BMX are back at it again with their custom builds. This time around they decided to take one of the new Tall Order 187 frames and load it up with parts from Tall Order, Colony, Cult, Odyssey and KHE. Hit that play button for a look at this dialed unit, then get the full details on the bike below. “Tall Order is a new brand from legendary English rider Bas Keep. Bas has always been known as a ramp shredder so it’s only right that Tall Order is designed & engineered specifically to be ridden at the highest level on transitions of all types & sizes. The 187 is a low standover, tech ready design for whipping & spinning up a storm. We built this one up with the best of aftermarket parts from Colony, Federal, Cult, Odyssey & more. You can check out more photos, pricing and more on the Strictly BMX website. 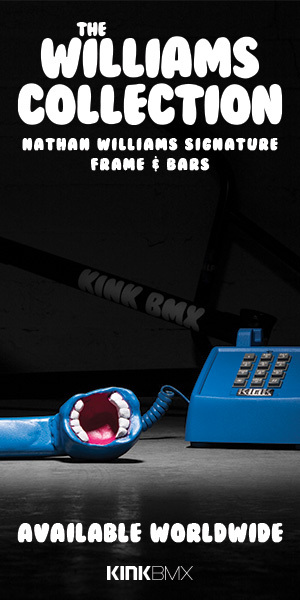 We have been loving the custom bikes that Strictly BMX have been pumping out lately. Here’s their latest! 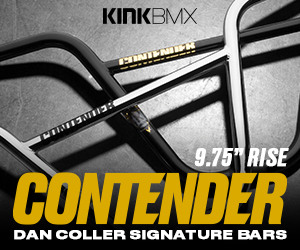 They took Alex Coleborn‘s signature Hangover H2 frame from Total BMX and dialed it in with a bunch of parts fromColony and a few other brands. The end result? A dialed bike that is ready to do some serious ramp riding. Take a peek. You can get a better look at the bike right here. “This custom is all about the park riders… Alex Coleborn signature Hangover H2 frame with matching sparkle orange forks built up with a great array of parts from Colony & some limited edition Odyssey Hazard Lite rims. The crew at Strictly BMX are back at it again with their latest custom BMX build. Here’s a look at the bike they used The Set‘s Dirty Deeds frame for a decked it out top to bottom with raw, black and purple parts. We’re really digging how this one came out! We built this custom up with Kyms KG/BC signature bars, Stealth cranks & a bunch of rad stuff from Cult, Relic, Colony & Sunday. Learn more and view more photos on the Strictly BMX website.